Not only did Japan's Shohei Ohtani take the American League by storm in 2018 with his mold-shattering brand of hitting and pitching, his popularity forced the Los Angeles Angels merchandising unit to play catch-up for an entire season. 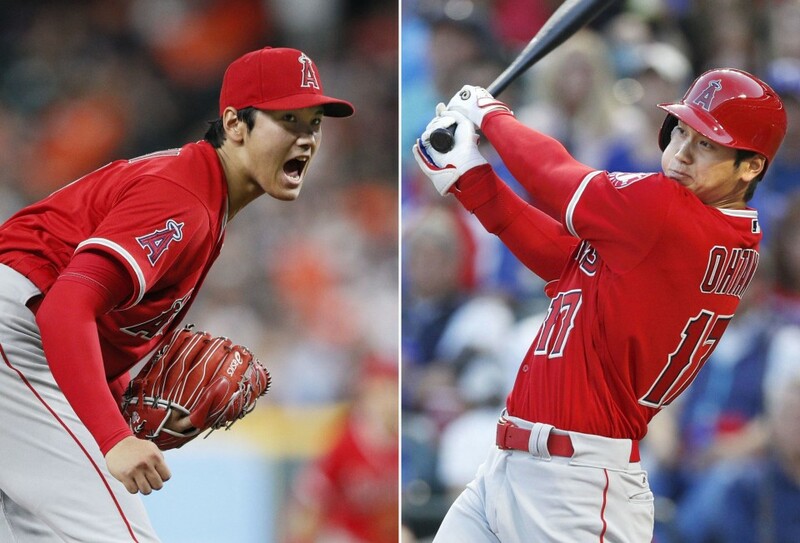 "We weren't ready," Eric Ursua, the general manager of Angel Stadium's merchandise store, Legends, said by phone about the preseason preparations to merchandise Ohtani sporting goods. "When we started off (after his signing), we only had like three or four Ohtani items...By the end of the season, we had six- or seven-dozen different items. We had no idea we would need so many different Ohtani items. And it was all out of need. Everything we put out, people went for it." 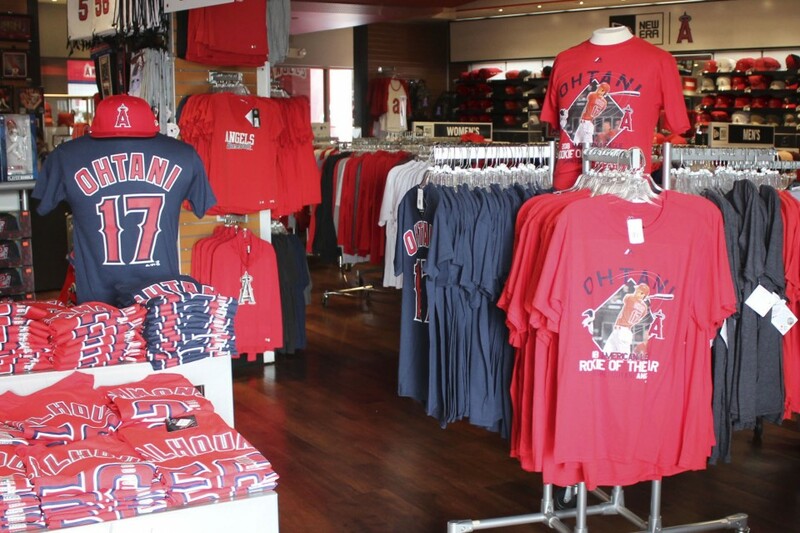 Ursua declined to talk specifically about Ohtani items' specific sales volume because of a team and store policy that treats all sales as a team effort. Since no single player can succeed or even compete without his teammates, as far as the Angels are concerned it's a case of all for one and one for all. Even though Ohtani won popular acclaim as the 2018 American League Rookie of the Year, superstar center fielder Mike Trout has been the longtime face of the Angels. Accordingly, there is also a wide assortment of Trout-specific merchandise available at Angel Stadium. "We had a great increase in team merchandise sales. I don't give out specifics because it's a team game," Ursua said. "That's how they (decision makers in the organization) want it. Nobody sells that much merchandise on his own." Although Ursua did not divulge sales volume growth compared with the previous year, he admitted in a separate interview with Kyodo News the percentage was in double digits. "Obviously, Ohtani was a factor in that (sales increase). But we saw growth among quite a few players. Everybody picks up from everybody. There are so many diehard Trout fans, who cheer him even when he strikes out. When there's a new Trout shirt, they're getting it. But they also probably bought an Ohtani item. It works all kinds of ways." Ursua said Ohtani's debut coincided with a flood of different customers. A short distance from Disneyland, he said the Angels were accustomed to greeting customers from overseas who brought even more business to the area compared with a year earlier. "It was interesting to see how quickly we could add a whole new fan demographic," he said. "We've always had a lot of foreign visitors because we've got a very famous mouse, literally right down the street. What we did notice last year was the number of fans coming over in tour buses. We've never seen that before." "Even on non-game days, we would get bus deliveries of East Asian tour groups coming into the store and (buying everything)." And even if you've been there and done that, Ursua said he and his staff are always on the lookout for something different to add the kind of variety that the hard-hitting, hard-throwing Ohtani brought to the major leagues last year. This season, the Angels' team mascot Rally Monkey is expected to don Ohtani's No. 17 jersey to display on the big screen when the team is battling on offense -- something which has only been reserved for the top players' jerseys such as Trout. "There is the ultra-fan who wants to see the new thing. One thing, we're going to see (this year) is something you can give someone who's a big Ohtani fan or a fan of Trout or (Albert) Pujols for their birthday, not just a normal item. We're definitely trying to be different."